Every Wednesday, Jeff Vaclavik, owner of Déjà Brew Coffeehouse and Deli, puts a “reserved” sign on one of his tables. There, the table waits for a group of retired Lehigh professors who gather there each week to catch up in their old stomping grounds. This is the only time that Vaclavik reserves a table. 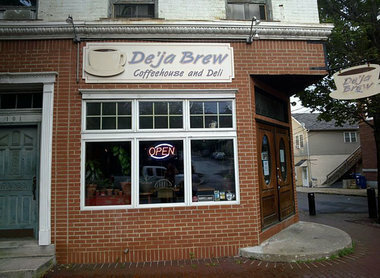 Déjà Brew’s customer base, according to Vaclavik, is about 85 percent Lehigh students and faculty. Their goal is to provide a place where people can go not only to eat quickly in between classes, but also where they can work on their laptops and enjoy bottomless coffee.